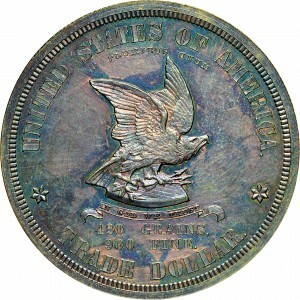 1873 was the year of the trade dollar. 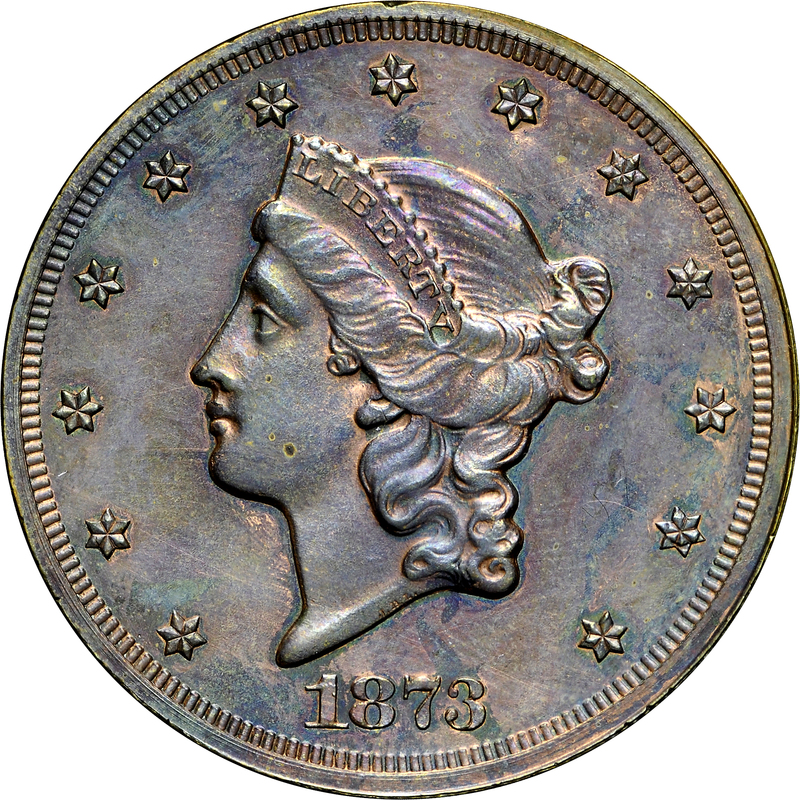 This coinage issue was authorized by the Act of February 12, 1873, with an extensive series of patterns prepared. Six of these are quite common, being issued by the Mint to collectors, reportedly at $30 per set. 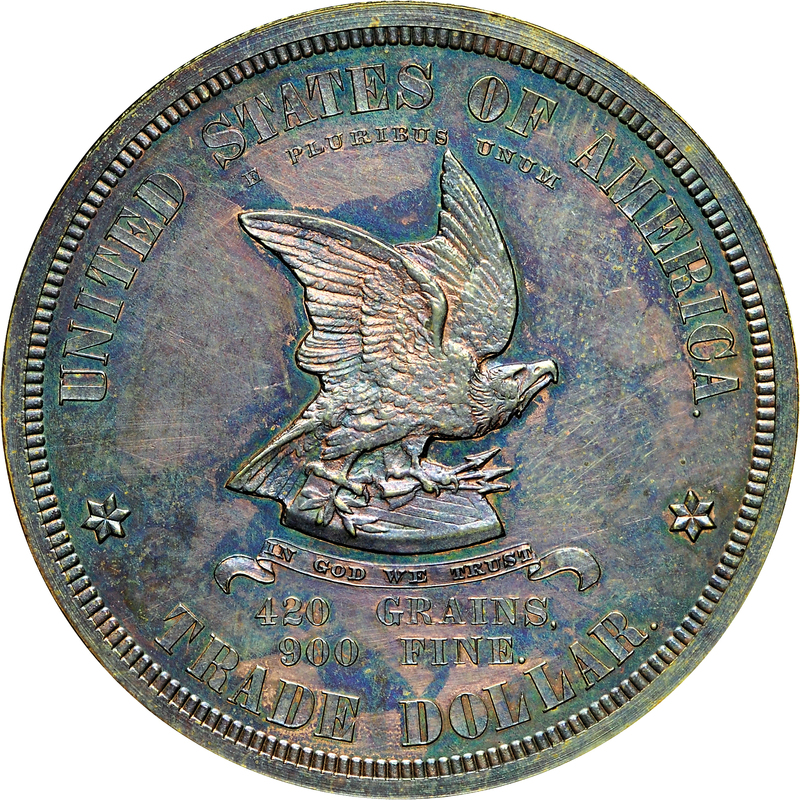 Most other trade dollar patterns are quite rare. This pattern issue is one of the rarities and is only known in copper. Just two examples are extant, the other being part of the Connecticut State Library Collection. From Sotheby's sale of the Palace Collections of Egypt (King Farouk), February-March, 1954, Lot 1923; M. Bolender; Vickery; Paramount's ANA Sale of August 1972, Lot 988. 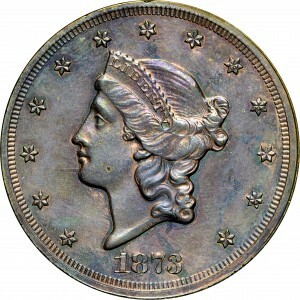 Very similar in overall style to the double eagles of the date, head of Liberty to left, 13 stars around, date below. "Defiant Eagle" to right, perched on prone shield, wings upraised, olive branch and arrows in talons, IN GOD WE TRUST on ribbon below shield, UNITED STATES OF AMERICA arcs above eagle, E PLURIBUS UNUM arcs below that, 420 GRAINS, 900 FINE, TRADE DOLLAR in three lines below shield and ribbon.